Diminutive handguns are nothing new; Henry Deringer’s eponymous Philadelphia model was produced and sold from 1852 and tiny, eminently concealable firearms have been popular for at least as long. Nihil novi sub sole; at SHOT Show 2017 a number of manufacturers showcased the continuation (and expansion) of this corner of the firearms market. 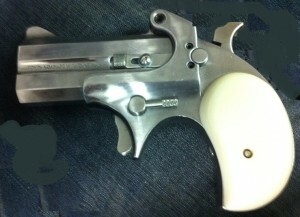 Bond Arms, the largest modern manufacturer of derringers, is probably the closest living cousin of the early models. 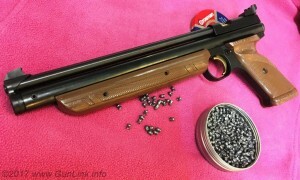 For just over 20 years, Bond Arms has been creating small(ish) non-repeating break-open handguns with caliber-swapable double barrels (available in everything from .22LR rimfire to .45 centerfire to .410 shotshells) reminiscent of early pocket guns like the ones that might be found in a frontier gambler’s vest pocket. More recently, Bond added a more modern touch to their pocket gun lineup when they acquired Boberg Arms’s design for a semi-auto bullpup pistol that strips rounds rearward from the nose-down magazine before chambering them. Although they are small and classified as derringers, neither Bond offering could realistically be called “tiny” or classified as a “micro gun,” much less a “mouse gun” when chambered in such heavy rounds as .45LC or .410. A staple of the tiny-gun market is the lineup from well-known North American Arms (NAA) – founded in 1972 as Rocky Mountain Arm – probably best known for the mini-revolvers that they have been selling since 1990, when they acquired the design from Freedom Arms. Available only in .22 rimfire chamberings, NAA mini revolvers are spur-triggered single action only revolvers with several models small enough that a pair of them could fit into the space occupied by a deck of cards. Now sold in a variety of configurations (including ones that fold into their own grip, and ones that are carried in a belt buckle), if you’ve ever walked into a gun store and saw a revolver-shaped speck in the bottom of the case, chances are that it was an NAA. In 1997, NAA entered the semi-auto market with their Guardian series to compete with Seecamp’s tiny offerings, although they don’t enjoy the same widespread recognition as the wheelguns do. 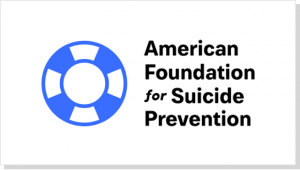 During SHOT Show this year, the NSSF announced a partnership with American Foundation for Suicide Prevention (AFSP) that will launch a nationwide program to help prevent suicide by firearm. To achieve this goal, the joint-operation will educate people in the firearms business, such as firearm retailers and range owners, about the warning signs and risk factors that can lead to suicide. For AFSP, this a part of their Project 2025, which aims to reduce the annual suicide rate 20% by the year 2025. Firearms and Suicide Prevention, a brochure that can be handed out that includes information on safe storage of firearms, statistics about suicide, the warning signs and risk factors for suicide, how to talk to someone that may be suicidal, and where to find more help. Facilitator’s Guide, for volunteers involved in the program on how to lead these community-based programs. A webpage dedicated to the overview of firearms and suicide prevention. After spending eight unsure years years of worrying about forthcoming gun control laws that would further infringe upon rights ostensibly protected by the US Constitution, firearms enthusiasts and industry members breathed a sigh of relief as the 45th President was sworn in on the last day of the 2017 SHOT Show. Team GunLink members who stuck around through the end of the show were in the press room during the official swearing in ceremony – as were many other members of the media. 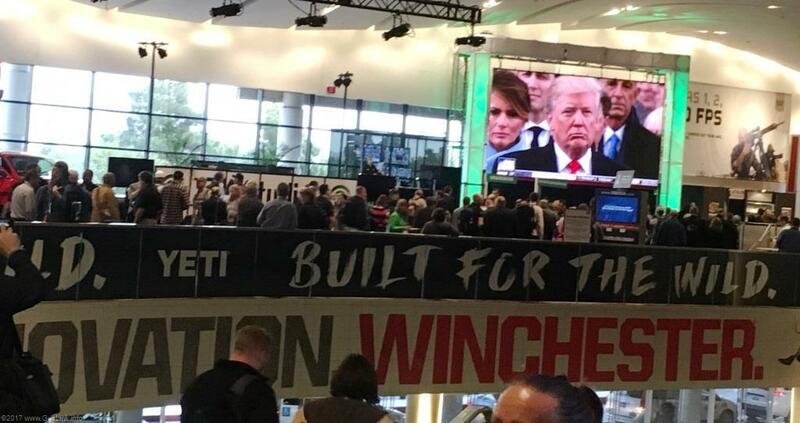 There, the transition from President-Elect to President Donald Trump elicited a boisterous round of applause and a standing ovation from many, and cheers were heard from exhibitors and attendees alike who filled the hallways and downstairs show floor areas. The reaction was no surprise, given the political environment and near constant threats against Second Amendment rights over the past decade and the perceived sea change in that environment. LAS VEGAS – The 39th Shooting, Hunting and Outdoor Trade (SHOT) Show, owned and operated by the National Shooting Sports Foundation (NSSF), signaled a positive year ahead for the firearms industry. Strong attendance, upbeat buyers and sellers, and a series of packed special events that collectively made up “SHOT Week” resulted in one of the top-rated SHOT Shows. 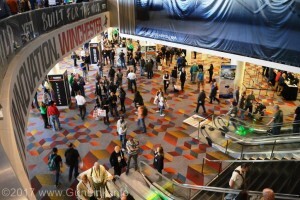 The show spanned January 17-20 at the Sands Expo. 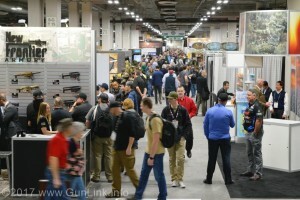 Industry professionals packed the aisles from the opening bell, and attendance totaled nearly 65,000, surpassing last year’s turnout to make it the second most attended SHOT Show ever. We are blazing our collective trails through the 13 acres (630,000 square feet!) of SHOT Show 2017, through the 12.5 miles of aisles (many of them multiple times over) to visit with as many of the 1,600 exhibitors as we can squeeze into the short time that we have here this week. Don’t forget that you can help us shape our coverage by posting in the GunLink Forums SHOT Show thread. While the days, weeks, and months ahead will bring more in depth reviews and news about what is being unveiled at the enormous industry event, we will take you inside the halls of the SHOT Show to get a glimpse of what attendees saw through the following photos. Comment below or in the show thread if you have any questions or want more details about particular photos or products before we have a chance to post more details about them.